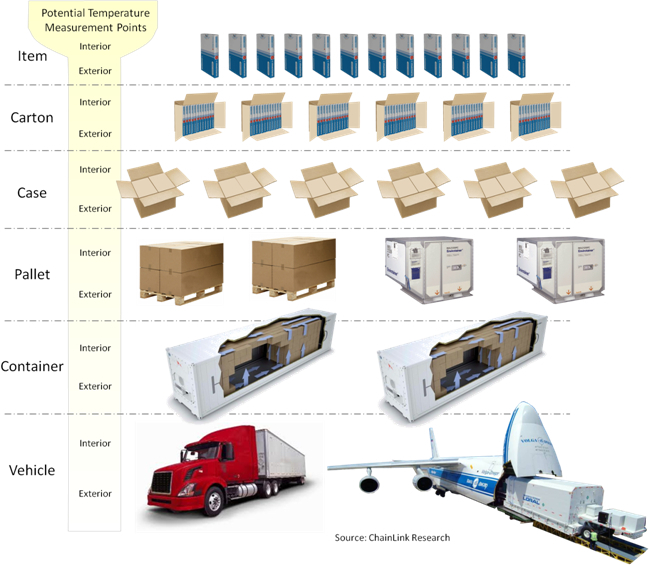 ChainLink Research : Research :Carton-level Temperature Tracking for Cold Chain Pharmaceuticals - Why Now? Carton-level Temperature Tracking for Cold Chain Pharmaceuticals - Why Now? A look at the key role that carton-level RFID temperature tagging can have within today's pharmaceutical cold chains. Adoption of carton-level tagging1 using temperature-sensing RFID for pharmaceuticals could be nearing an inflection point, as was seen recently with item-level tagging in apparel.2 But tracking temperature-sensitive pharmaceuticals is very different from tracking apparel. RFID solutions recently available now enable pharmaceutical manufacturers and couriers to change how they manage cold chain operations. Pharmaceutical companies are being forced to rethink their supply chains and pay a lot more attention to how these high-value temperature-sensitive products are handled end-to-end. Temperature-sensitive drugs will soon dominate the pharmaceutical market. Biologics’ market share doubled in the past ten years. By 2016, eight of the top ten best-selling global drug products (and 83% of the top 10’s revenue) will be biologics, requiring a 2˚C to 8˚C / do-not-freeze storage and handling regime. There is also an increase in Controlled Room Temperature (CRT) products which must be maintained at 15°C to 25°C or 30°C. At the same time, ePedigree regulations are being put in place, not just in California but in various international jurisdictions as well. All these are combining to make end-to-end cold chain management all the more critical to the profitability and success of pharmaceutical companies. A wide variety of solutions exist and many factors go into the selection of carriers, services, containers, and monitoring solutions. Manufacturers often pre-qualify containers for a variety of routes and use them with 3PLs and carriers that specialize in cold chain. Having qualified packaging, however, is no guarantee of protection.3 Even well-trained personnel can make mistakes, such as incorrect package assembly; the wrong refrigerant; incorrect orientation; refrigerants or products may not have been sufficiently pre-cooled; products may have been left too long on a hot tarmac or loading dock. The list of caveats and conditions required to control risks can be lengthy (see footnote4 for example). The bottom line, things can and do go wrong, in spite of best efforts. It is critical to ‘trust but verify’ that high value drugs, vaccines, and other temperature sensitive items have been kept within the proper temperature range throughout their end-to-end journey from the point-of-manufacturing to the point-of-consumption. Of course temperature monitoring is already being done, but falls short in meeting new cold chain requirements. Pharmaceutical companies therefore must adjust existing cold chain practices for monitoring temperatures to see if excursions5 have occurred for their temperature-sensitive products. In crafting a temperature monitoring strategy, cold chain managers must decide within which legs in the end-to-end journey temperature measurement should be done, at which places or levels within the packing hierarchy (see Figure 1 below6 ) should the temperature be monitored, and which technology and solutions or services to use. To reduce waste and improve profitability, monitoring needs to be done proactively, instead of after the fact. Getting forensic and historical data at the end of the supply chain only documents waste, rather than preventing it. A key principle is that monitoring should be done as close to the product itself as is practical and affordable. Ultimately, it is the temperature exposure history of the product itself that determines its viability and efficacy. In practice, monitoring most often happens at one of these levels: vehicle/container interior, pallet exterior or interior, case or carton exterior. Data loggers placed within a refrigerated truck or intermodal reefer7 container can be useful for monitoring a single stage of the journey, but do not account for container-level temperature variation8 or capture temperature history or traceability at the carton level for the full end-to-end journey from manufacturer to final destination, nor excursions that happen outside the vehicle (on loading docks, tarmacs, etc.). Exterior pallet- or case-level monitoring is one of the most common places to monitor temperature. For insulated passive or active containers,9 the assumptions are that the package/container has been qualified or validated for a specific profile of conditions and ambient temperatures. As long as the ambient temperature stays within that defined range for the defined period of time then, in theory, the product should be OK. However, as mentioned earlier, it doesn’t take into account all the things that can go wrong in the real world, such as incorrect package assembly, orientation, weather variations, flight delays, or inadequate pre-cooling. In short, it may not detect issues that compromise the product, leading to waste, treatment delays, and reduced profitability. New types of RFID, such as ISO 18000-6C Class 3 battery assisted passive, are making it practical and affordable to put a temperature monitoring device inside each carton. In-the-package monitoring allows monitoring to be done as close as possible to the end product, thus detecting issues with packaging, temperature variations in a vehicle, and other things that can go wrong. To minimize workflow disruptions or changes to existing processes, as well as ensure the security and validity of the product, this should be an RF-readable device, not one that requires opening the carton to read it. The device can be put into the inner carton before it is sealed at the factory, so that the temperature is monitored all the way from source to final destination without having to open or unpack the carton. This approach provides the most complete end-to-end record of temperature. Further, with serialized items and tamper-evident seals, it can provide a compliant e-pedigree with end-to-end traceability. RFID readers may be installed at the intermediate (e.g. DC) and final points of delivery, such as loading docks, airport tarmacs, and receiving points such as the dock of the hospital or practice pharmacy. The RFID reader can automatically read which drugs were delivered and their temperature history, and then transmit that information via a cloud-based service to the manufacturer and other interested and authorized parties. Handheld readers can also be used at any point in the chain for ad hoc quality control testing and exception management. Drugs often can’t be released at the destination environment (whether a DC or pharmacy) until the manufacturer receives the temperature data for the shipment and validates that the proper temperature has been maintained. With USB-based temperature monitors, this validation is delayed, often by several hours or until the next day if received too late in the day, due to the manual labor requirements and receiving backlog. The delay is even longer (two or more days) in cases where the temperature recording device must be sent back to a service provider to read the data. With an RF-based solution, the data is captured automatically by the RF reader as the items are unloaded at the dock door. 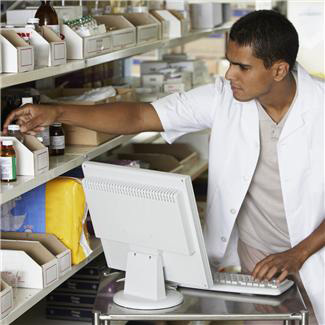 That data can be instantly transmitted to the manufacturer, shaving hours to a day or more off of the process.10 This reduces inventory requirements, improves manufacturers’ cash flow (earlier invoicing), reduces end-to-end lead times, and releases the pharmaceutical for use sooner (sometimes days earlier), saving critical time and improving patient care. Currently most temperature-sensitive drugs that are returned must be discarded, because there’s no data to guarantee or prove they were properly handled end-to-end. With carton-level monitoring, there is a complete temperature history of the item. Distributors can see exactly which returned items have been properly handled (usually most of them) and which ones must be destroyed due to temperature excursions. Perfectly good product, that is currently being disposed, can now be confidently and properly resold, thus reducing expensive waste while maintaining product integrity. This also increases revenue for the manufacturer, particularly in cases where the supply of the drug is limited. Reductions in waste can pay for the cost of the solution, creating a positive ROI. Typically there are several handoffs in the chain-of-custody from the manufacturer’s plant to the patient. This could include a 3PL, one or more distributors, and various stages within the manufacturer’s own distribution chain (e.g. plant to central DC to regional DC). Many of today’s monitoring systems are designed to measure each leg in the journey separately. This is especially true if it is vehicle or pallet tagging. This is appropriate to ensure that each service provider has handled the product properly for their leg of the journey, but falls down in capturing the end-to-end picture. Often the pallet (or even cases that have cartons within them) are opened and reconfigured at various stages in the journey. Whenever that happens, pallet or case level monitoring fails to capture the complete end-to-end picture. To capture true end-to-end,11 the tag must be placed in the carton, which should stay sealed from the factory to the final destination. Furthermore, ePedigree requirements can be met by the manufacturer by including a serial number barcode on the item and then putting in an RFID tag and a tamper-evident seal on the packed carton. As long as the seal has not been broken, it can be inferred12 that the serialized items are within the carton wherever that RFID tag is read. Proactive TOR Alerting – With readers at key points in the chain (loading docks, vehicle doors, hospital pharmacy cold storage areas, etc.) a cloud based system can generate Time-Out-of-Refrigeration (TOR) alerts when too much time has passed or an internal carton temperature threshold is breached. In a hospital setting, TOR alerts might leverage the RFID reader infrastructure already in place for other applications, such as asset or supplies tracking. Each time an excursion is prevented, waste is avoided and savings are generated. Armed with end-to-end temperature data, pharmaceutical manufacturers and distributors can identify where chronic problems are occurring and take corrective action to improve overall performance. This might be a specific piece of equipment, hot spots in a vehicle, containers that have not been assembled or cooled properly, drivers who have a habit of shutting off their reefer unit, route variations, and specific workers, facilities, or service providers who are not handling product properly. Liability can be assigned, based on the actual data, to assess penalties where appropriate. There are a number of examples of successfully using RFID temperature tags with pharmaceuticals today. Panalpina tracks temperature-sensitive shipments on five different routes out of its Luxembourg hub, using RFID temperature-monitoring tags and Antaris Solutions’ SmartView application that provides an easy-to-use dashboard for monitoring the shipment from manufacturer to recipient. Abbott Labs, DDN, DB Schenker, PAREXEL, and others are using RFID to track the temperature of drugs. Many factors have come together to make the time ripe for carton-level tagging of temperature-sensitive drugs. These types of drugs will soon dominate the market. 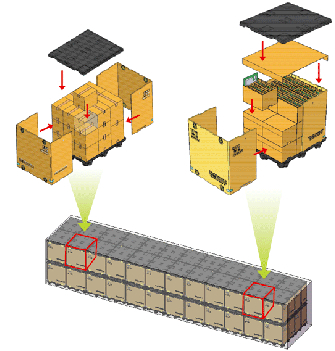 Current approaches, with vehicle-, container-, or pallet-level monitoring, have significant blind spots, failing to deliver the end-to-end picture and sometimes missing critical issues such as improperly assembled packing. 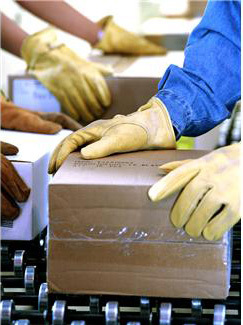 By putting a tag into cartons at the factory before sealing, it provides full end-to-end monitoring, greatly reduces the labor and time in receiving processes, can provide time-out-of-refrigeration alerts, allows for reuse of returned drugs, can substantially reduce waste, provides a base of data for corrective actions, and enables compliance with ePedigree regulations. That’s a lot of bang for the buck for one technology, requiring few changes to existing processes. The benefits for distributors, manufacturers, caregivers, and patients are compelling. Anyone responsible for pharmaceutical cold chains should take a serious look at what role carton-level RFID temperature tagging should play within their overall strategy. 4 Example set of caveats and conditions, published by Envirotainer: “Envirotainer does not recommend using the t2 container for shipping CRT products in the winter unless certain practices are followed (the more implemented, the less risk). Even then, the solution should be qualified for the trade lane before starting live shipments. • In insulated boxes with gel-packs surrounding the goods (this reduces the volume for shipping goods). d) The temperature monitor is placed at inside the overpack at least one layer deep in the load, to protect it from measuring air temperature.